On the tennis court and and life in general, most people are afraid of making mistake and afraid of failure. The truth is that failure is something we all are going to experience at some point in our lives – in sport and life. Even if you are a perfectionist, you are going to make mistakes. It is how you will bounce back from these little or big disappointments that will determine your resiliency and our willingness to try again and again. Even if you are a perfectionist, you are going to make mistakes. On the tennis court you’re often face situations where you challenge yourself, therefore there is a good chance letdowns will occur. What is important for you is to not let the fear of failure get in the way of attempting to achieve something again. 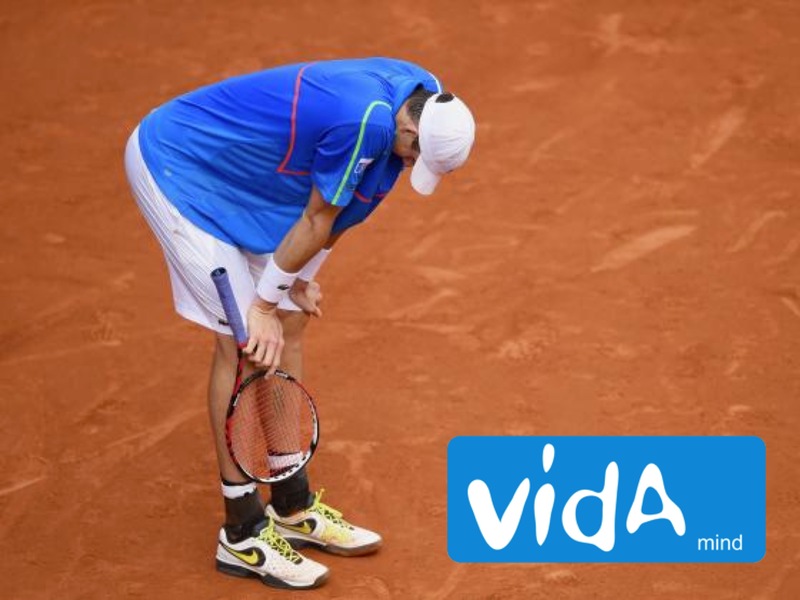 If you are a tennis player trying to achieve a certain ranking, circumstances may not always go as well as planned. It is why it’s absolutely necessary that you learn from your mistakes. Take the time to figure out think about what mistakes you made, what you learned from your previous attempt and what you might do to improve next time. This is an opportunity for growth. Wasting energy by feeling sorry for yourself or blaming others does not get you any positive results. Wasting energy by feeling sorry for yourself or blaming others does not get you any positive results. The next time around, remain focused on the task at hand. Work towards your goal keeping in mind what you learned from your last mistake, but also understanding that this is a new opportunity for success. What you want is to focus on the skills that you want to improve. During your match, you will find that is much easier to achieve your goals when you are able to stay in the moment and forget about your previous mistakes. If you want to know more about Vida Mind, do a free session with Dr. Damien Lafont. Contact him at [email protected] or call 0435 819 262 and he will get in touch with you to schedule 45 min with you either in person or over Skype. In this free info session with him, you’ll go through what is keeping your performing at your best. You’ll know Dr Lafont, how he works and whether you are a good fit for each other.